Join us as we promote and teach others about conservation! Third Annual Ranch, Farm & Garden Expo. This year's Expo features speakers from JW Kerns, Alan Shepard from BLM regarding wild horse management, Laura Snell, Modoc County Farm Advisor; Brian Lohse and Horst Farm Supply speaking on current popular seed trends and planting; Modoc Veterinary Center discussing Pink Eye treatment and others! The Vya CD will have a booth with applications for our grant program available. Representing Nevada Conservation Districts will be Melany Aten, Conservation Specialist, who will discuss grant opportunities for landowners and how your local conservation district can assist private landowners. Second Annual Ranch, Farm, and Garden Expo! We had a great time at the second annual Ranch, Farm & Garden Show in Cedarville, CA last spring. 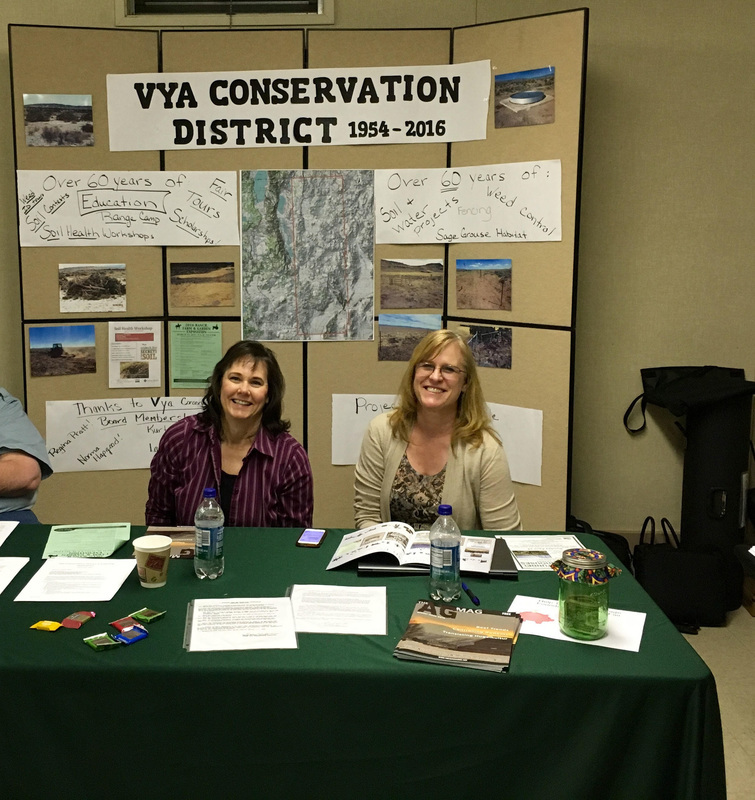 We had a table highlighting our work in the Northern Washoe County area and information about our landowner cost share program along with other information important to local ranchers. 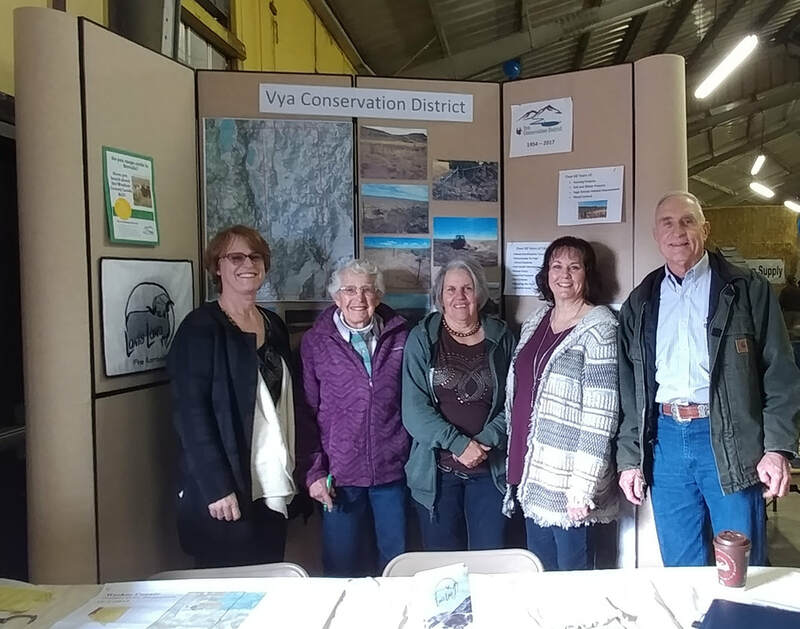 In March 2016 the we participated in the first Ranch, Farm and Garden Expo sponsored by the Modoc Heritage Foundation at the Modoc County Fairgrounds in Cedarville, CA. The Expo featured several great speakers from the U.S. Fish and Wildlife Service, NRCS, Nevada Dept. of Conservation and Natural Resources, local veterinarians, seasoned gardeners from Northern Washoe & Modoc Counties, and many others. We were pleased to have Tim Rubald from the Nevada Department of Conservation and Natural Resources with us to answer questions and provide information about conservation and sage grouse habitat in Northern Washoe County. We also had information available about our Conservation Project funding, as well as a display picturing the results of conservation and habitat improvement in our area.